In an announcement Thursday in advance of a New York Police Department hearing to decide whether Pantaleo used excessive force—a banned chokehold—Pantaleo’s lawyer, Stu London, said NYPD Chief Surgeon Eli Kleinman had viewed a video of Garner’s takedown and ultimate death by police and determined no chokehold was used. Sure looks like a chokehold to me, as well as to a whole lot of other people, including New York City’s Medical Examiner and a private coroner hired by the Garner family after his death. But that’s not how Pantaleo and his team see it. Kleinman concluded there were no injuries associated with a choke hold, including to Garner’s trachea, and that Garner’s poor health — he was obese and suffered from asthma, hypertension and diabetes — contributed to his death, London said. As far as London is concerned, “resisting arrest” over Garner’s alleged sale of some loosies is what really cost him his life. Welp, in addition to the departmental charges, the city’s Civilian Complaint Review Board has also filed charges against Pantaleo. O’Hare slammed the defense and the NYPD’s chief surgeon for not actually reviewing the autopsy and only looking at the video. O’Hare said because Kleinman had only reviewed the videos and not the autopsy, his testimony should be limited by the judge at the upcoming hearing. 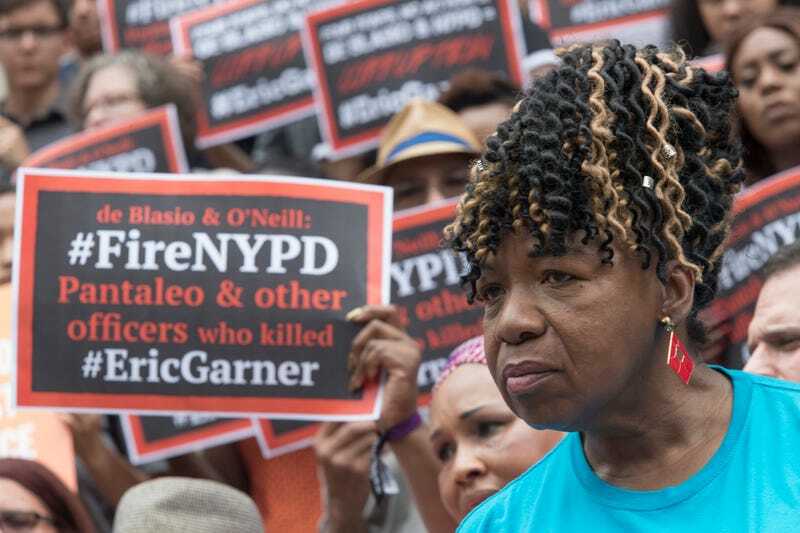 A grand jury declined to indict Pantaleo on criminal charges in Garner’s death, so we’ll have to wait to see if the NYPD trial provides any other result. Pantaleo’s departmental trial is still set to go forward May 13.